Moreland Primary School is committed to providing a safe, supportive and inclusive environment for all students, staff and members of our community. Our school recognises the importance of the partnership between our school and parents and carers to support student learning, engagement and wellbeing. We share a commitment to, and a responsibility for, creating an inclusive and safe school environment for our students. 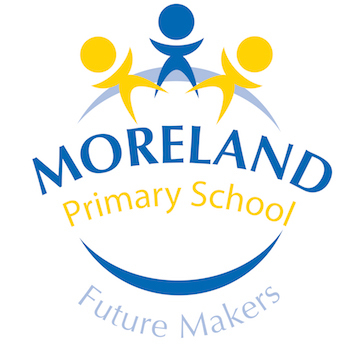 Moreland Primary School’s vision is to be a community of inclusive, innovative and inspired learners. • Create a culture of shared goals, trust and high expectations for all. • Embrace an environment that is open, safe and welcoming. • Promote and develop student voice and agency to drive action. • Provide an engaging and challenging curriculum which promotes exploration, risk-taking and creativity. Moreland Primary School acknowledges that the behaviour of staff, parents, carers and students has an impact on our school community and culture. We acknowledge a shared responsibility to create a positive learning environment for the children and young people at our school. Supporting the MPS Vision and Mission are three core values: Respect, appreciating diversity and being considerate of how people think and live; Responsibility, empowering students to take ownership of their learning and actions; and Resilience, continually strengthening our capacity to understand challenges and create new possibilities. These values drive our culture of positive relationships, diversity and empowerment and convey the beliefs that positively influence our behaviour and the way we interact with individuals, groups and communities.